An evening reception for a corporate client entertaining 200 guests at a summer party. 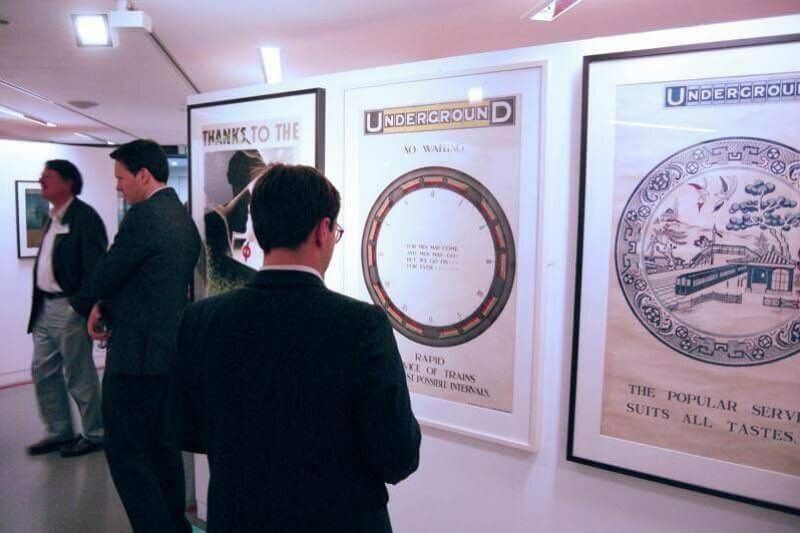 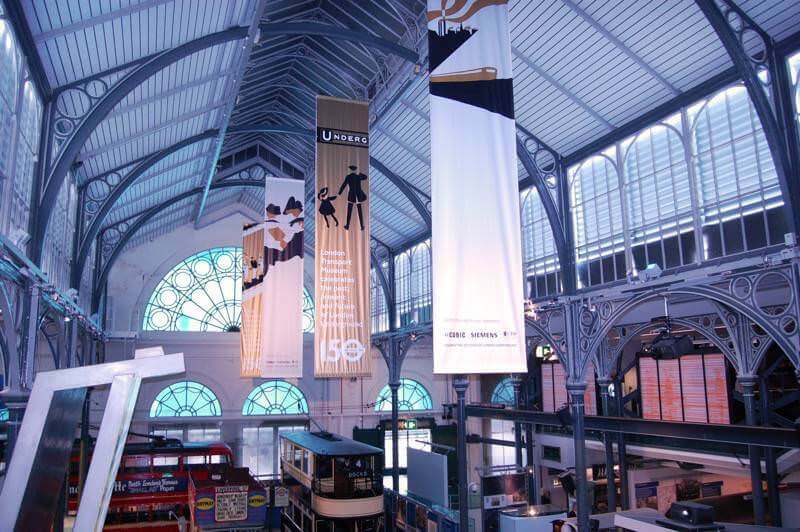 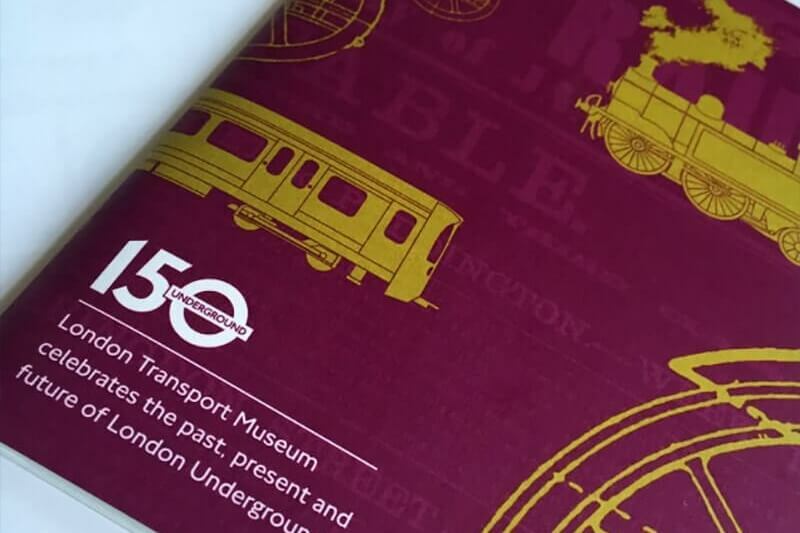 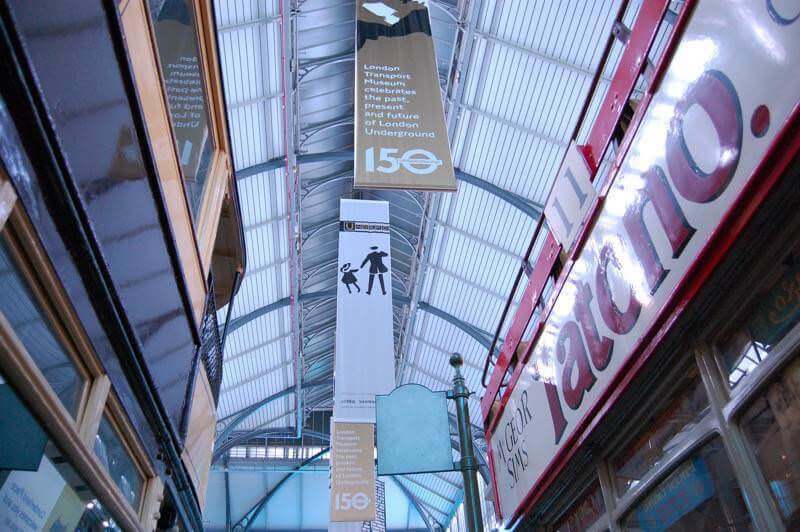 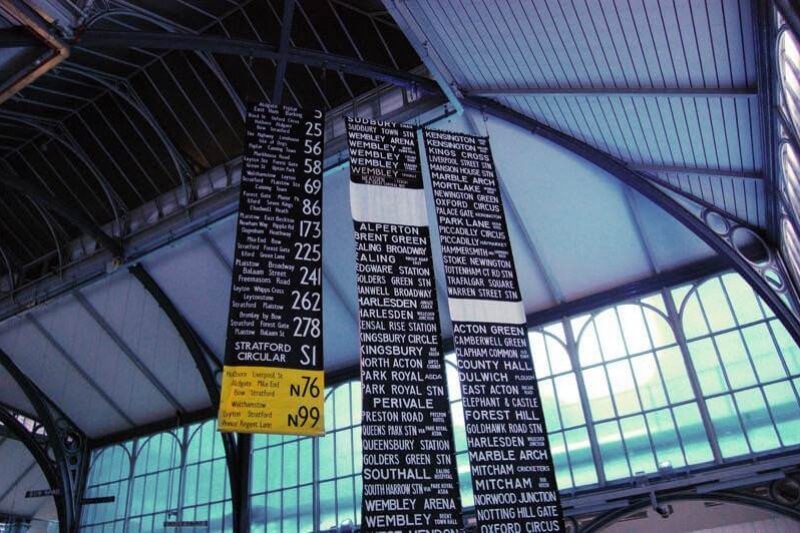 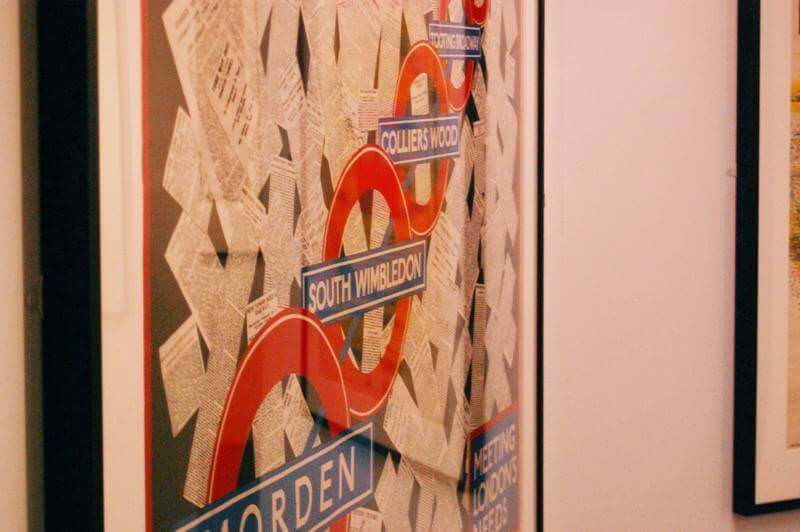 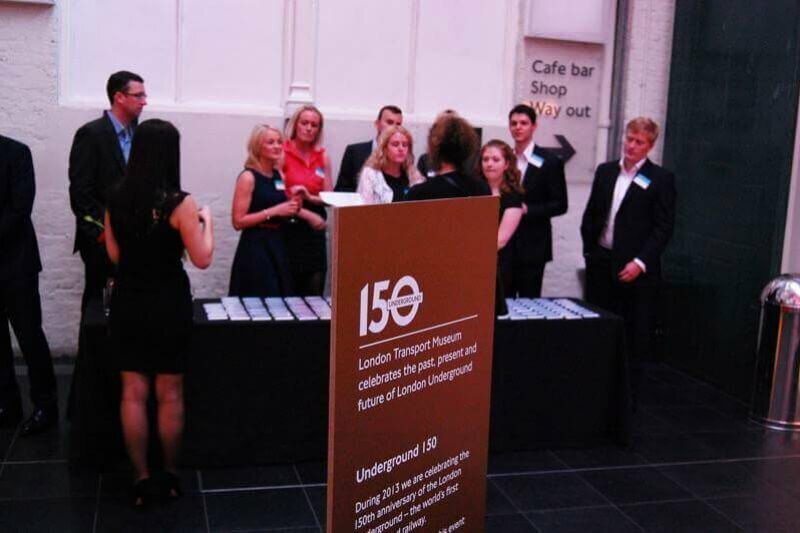 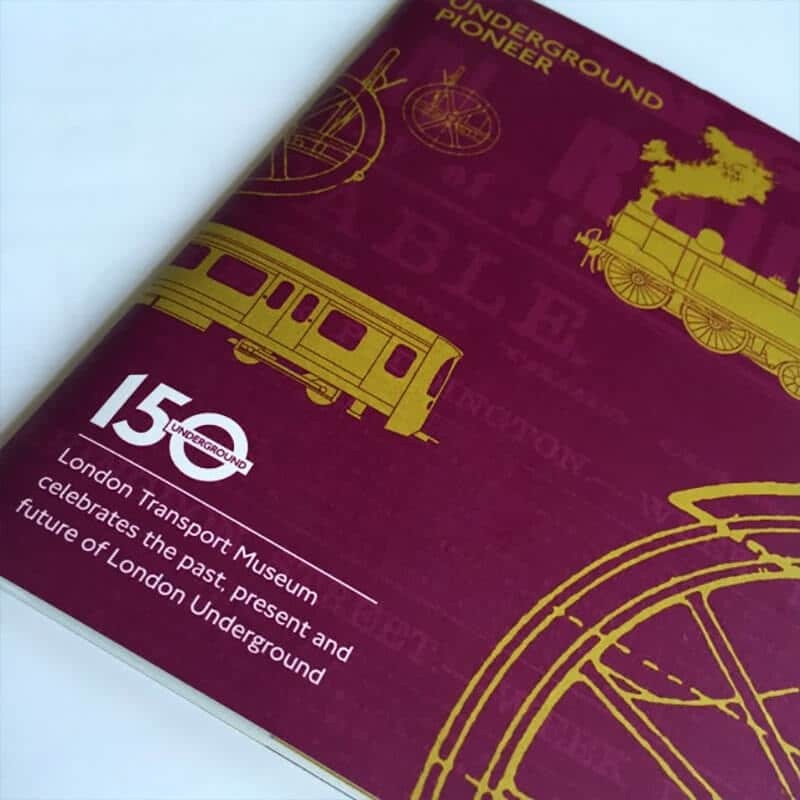 We selected a venue that is intrinsically “London”, underlining our client’s commitment to the city, and ensured that the evening, timed to coincide with the 150th anniversary of the London underground, included access to the Poster Art 150: London Underground’s Greatest Designs. 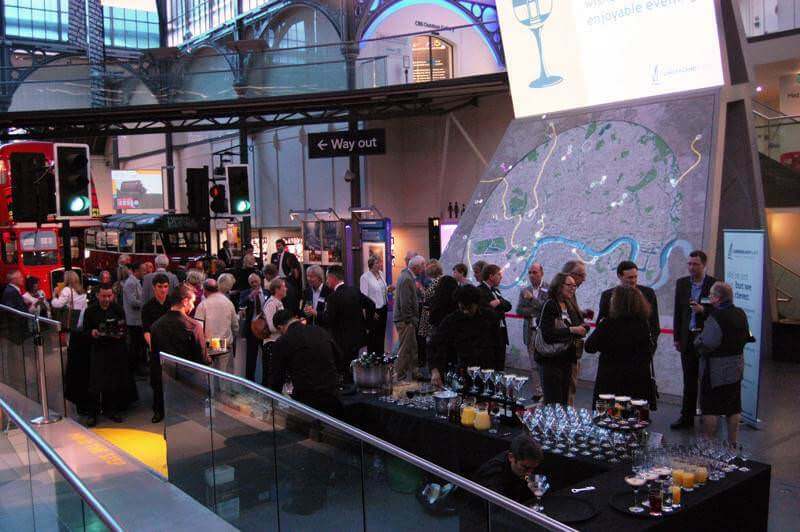 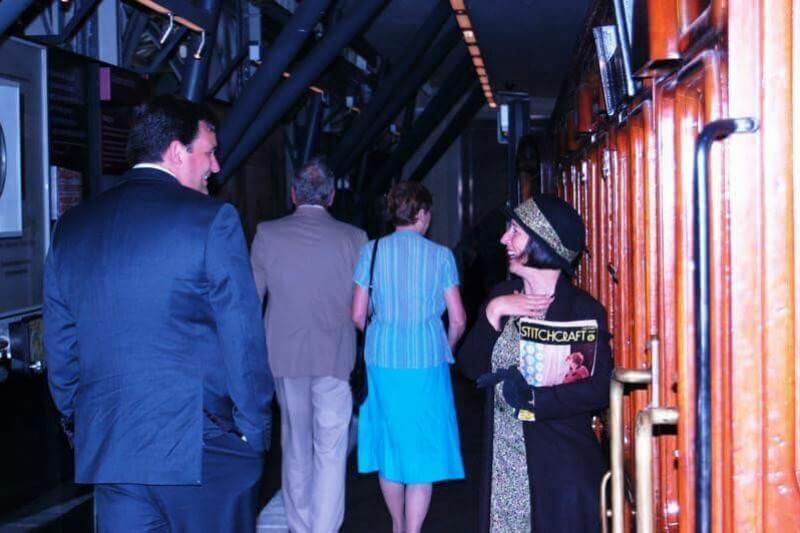 Guests were welcomed into the museum with an “express” themed cocktail, and then taken through the exhibit by actors dressed as a train passenger from the 1930s and a train driver from the 1900s, talking them through the exhibit and giving them a personal sense of the London underground story. 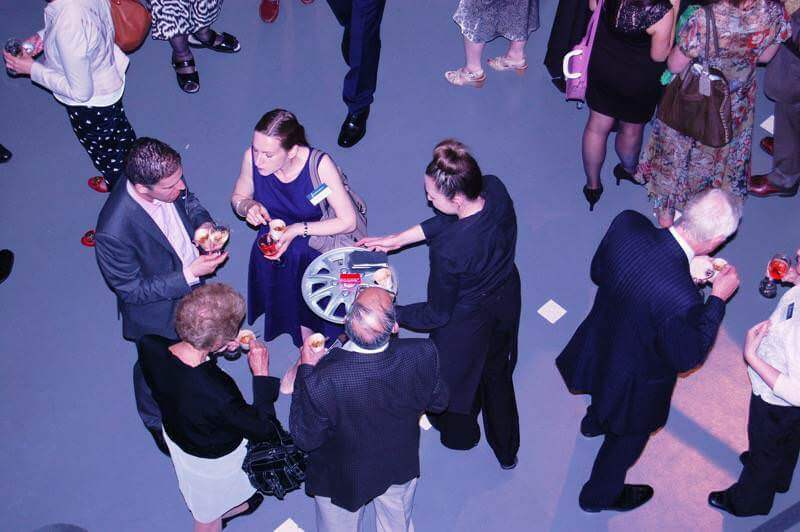 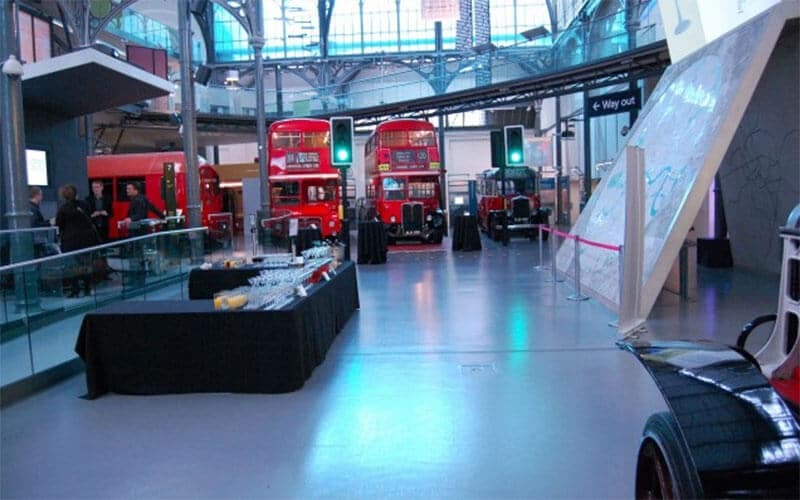 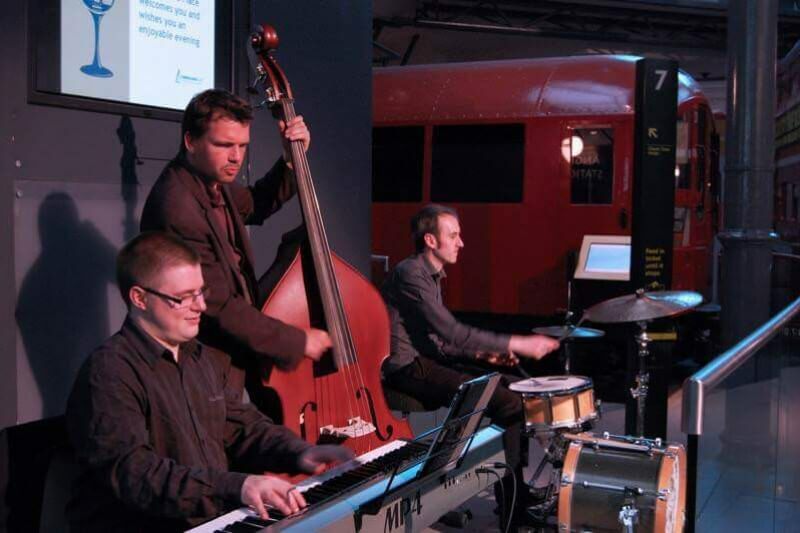 At the end of the mini-tour, they were greeted with bowl food options in the design section, and then onto the main concourse, surrounded by historical buses and trams, where they were treated to transport-inspired canapes while enjoying a jazz trio. Those clients who wished to, could take a private tour, with a curator, of the Poster Art 150 exhibit overlooking the main floor. 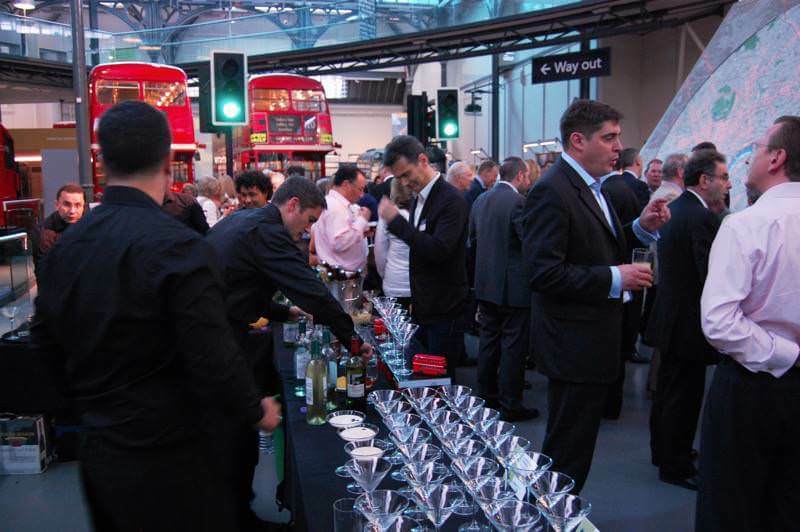 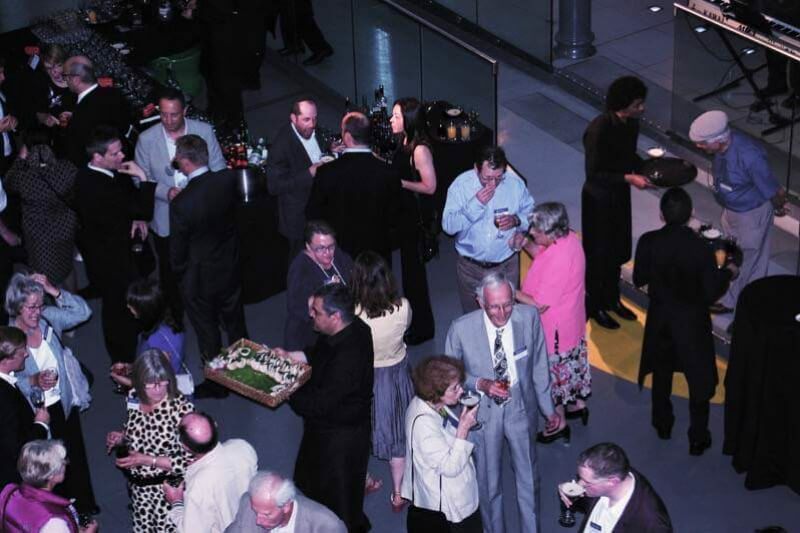 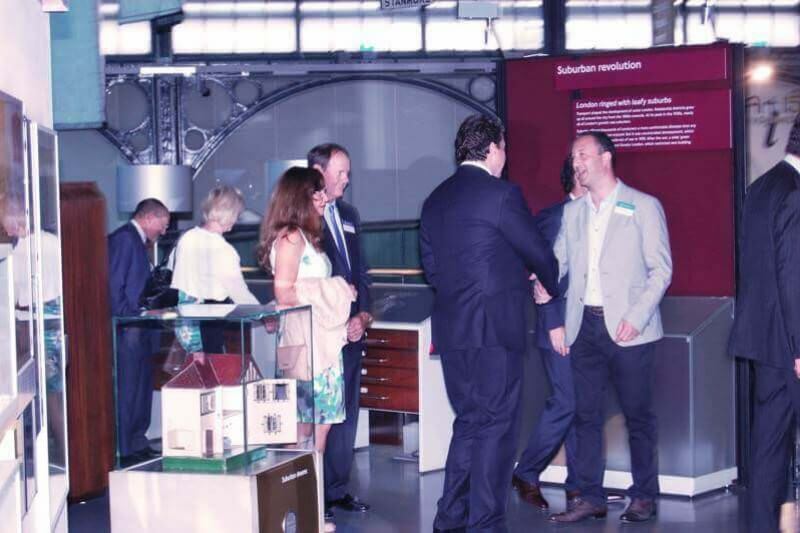 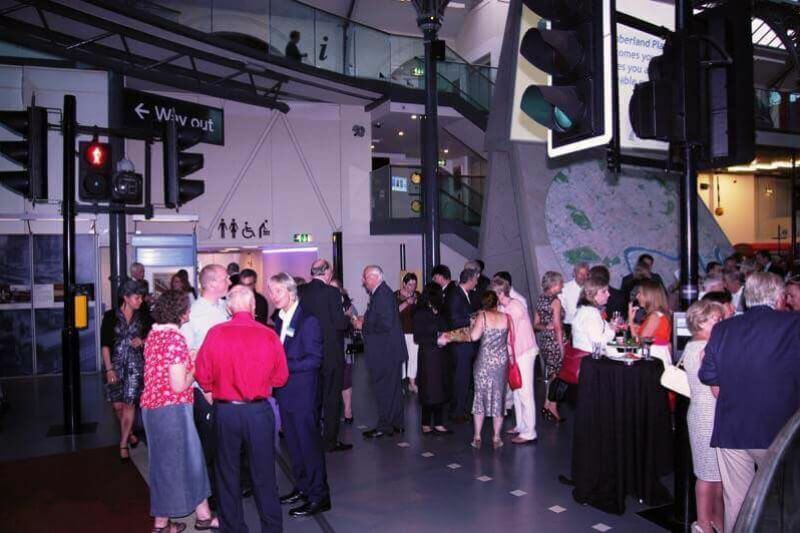 Our clients were delighted with the response to the event, and found it a fabulous and convivial atmosphere to catch up with their clients and secure relationships.